"Like" our Facebook page to get updates on what's going on at Hideaway! 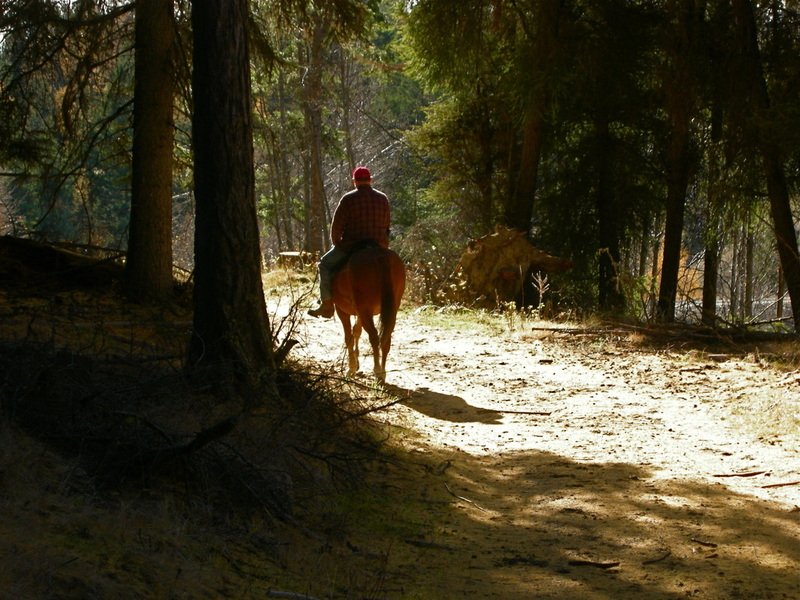 Our goal is to provide the best in a rustic camping experience for our guests and their horses. To help us do that, please adhere to the following rules. Please respect the peace and quiet of Hideaway and that of our neighbours. This is not a wild party place. Loud music or noise will not be permitted. Please leave your campsite as you found it. Anyone leaving a dirty site or corral will not be welcomed back. Manure bin, manure fork and wheelbarrow are provided. Cattle and some wild horses range the crown land. Please leave gates as you found them. Hideaway Horse Camp is currently dog friendly. Please help us keep it that way. Dogs must be kept under control at all times and must not roam the property. Barking must be kept to a minimum. Please pick up after your dog. You will be riding through range land. Please ensure your dogs do not chase the cattle. -Please take your own garbage home. -Please do not throw garbage or any other refuse into the toilet. -If you have any leftovers, veggie peelings or food you don’t want to eat, our chickens would love to eat them. A container is provided near the Hut. No bones, citrus or raw onions please.